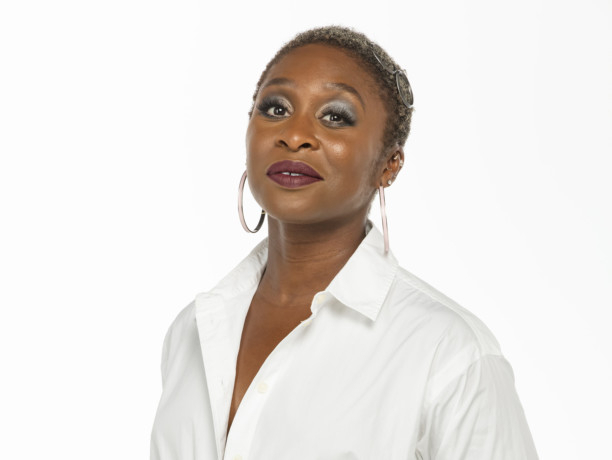 Cynthia Erivo has always had the sense that she was destined for something big. But even she has been astonished by the swift trajectory of her acting career. 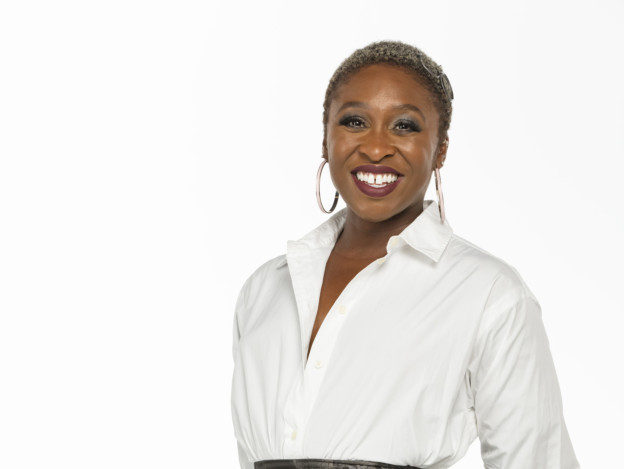 “I know everything is leading to something huge,” said Erivo, who, in her Broadway debut in 2015 as Celie in The Color Purple — a star-making turn that Ben Brantley of The New York Times called “incandescent” — won a Tony, a Grammy and a Daytime Emmy. “But we’re going from one huge thing to another,” she added, her silken voice fluttering with disbelief. Now this British actress is breaking into Hollywood with two new movies and stalking — though she would never put it that way — the Oscar that would snare the elusive EGOT status. In Drew Goddard’s Bad Times at the El Royale, now in theatres, Erivo plays a downtrodden singer fleeing Motown for Lake Tahoe and seeking redemption alongside six strangers (and mostly opposite Jeff Bridges) in a seedy motel where every room is a stage. 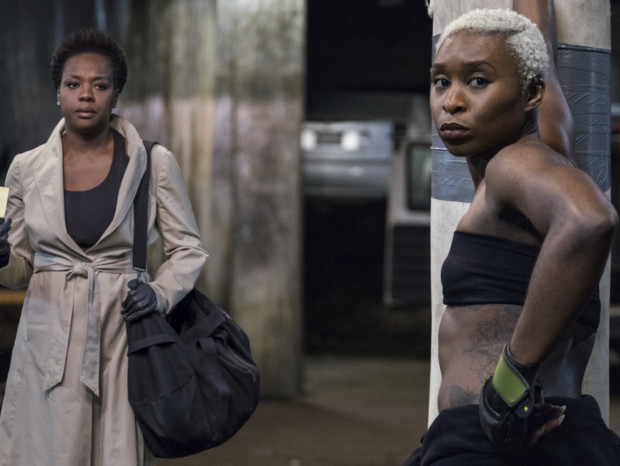 And in Steve McQueen’s Widows, opening on November 16, she’s the formidable accomplice to a band of women (led by Viola Davis) undertaking a multimillion-dollar heist to repay a debt after their criminal husbands are killed. Arriving at The Times from a Michael Kors fashion week show, where she’d shared the front row with Nicole Kidman, Tiffany Haddish and Catherine Zeta-Jones, the 31-year-old Erivo — a physical and emotional powerhouse — spoke about shedding tears at the closing night of The Color Purple and her coming role as the abolitionist Harriet Tubman. Widows was your first film shoot. What was it like moving from stage to set? When you’re onstage, it’s a live audience and you get the response instantly. They tell you what they need; they tell you what they want. [On set] you’re sort of feeling your way through, hoping you get something right. I remember thinking, I hope I do everyone justice, because this is definitely the who’s who of people in film. And I was set up in the best way. I had the best director, who is so wonderful at guiding you to make sure that you give excellence. You know that he’s not going to stop until he gets the right shot, and that’s how I function. I don’t want anyone to be easy on me. Bad Times required you to sing live on set — and you did at least 27 takes for one scene. I feel like you can always tell when someone is lip syncing, but I think Drew also wanted it to feel authentic in the room. I wanted to give them as much variation as they possibly could have, but it was an adventure I really enjoyed. To combine my theatre upbringing with film in one fell swoop was kind of awesome. A few years ago, you were so daunted by the prospect of Broadway that you cried getting on the plane from London to New York. How did you feel during your final performance of The Color Purple on January 8, 2017? All of my friends that could possibly be in the house were in the house, and it was my 30th birthday as well. And I remember I get to I’m Here, and I can’t make it to the end of the song. [Singing] “I’m gonna si ...” — and I go to say “sing,” and I just break. It was like an earthquake. I had been holding it for the whole entire show, and I get to that bit and everyone is up, yelling: “Come on, you can do it! Keep singing, Cynthia, keep singing!” And the din was the most overwhelming feeling of love. And when we finished, it was like someone had lifted something from my shoulders, and I found it difficult to even stand up straight. I cried for ages just to know that I had been able to achieve that. The Color Purple is a distinctly American story, and now you’re taking on Harriet Tubman. Were you familiar with these figures growing up in Britain? Yeah, one very true and stable story in American history is something that is definitely in my wheelhouse. I’m still not over the fact that people allowed me to tell the story of Celie because I’m an English girl. I hope that it’s because I tried to do it with truth and integrity. And the fact that I get to play Harriet Tubman is crazy and incredible. It’s going to be a ride and a half to be able to tell her story, because it’s an extraordinary one, and I want to make sure that people get to see this woman as a woman, as a human. She was a superhero, but she was heart first. What are your thoughts about those who say that British actors shouldn’t play African-American roles? I understand where the criticism comes from. There is not nearly enough opportunity for African-American women and all women of colour to feel seen and represented on-screen. As women of colour, the only way we can all address feeling invisible and underrepresented is to come together and have a conversation on how we can better support one another. I respect the history and the legend that is Harriet Tubman, and I have done the work to make sure that I portray her to the very best of my abilities. Your five-year plan includes an album, the Hollywood Bowl and a solo Grammy performance. Aren’t you exhausted? I feel like I’m jumping from dream to dream, and so I’m just going to let it all come to fruition. People sometimes ask: “How are you doing? How is your heart?” And I’m like, I can be tired, but I’m happy because what is there to complain about? I’m fully aware that I am living something that not everybody gets to live, and for that I’m eternally grateful. Widows releases in the UAE on November 22.